Summer is finally here! 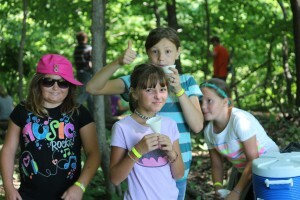 Are you ready to find the summer camp perfect for you and your children? You have come to the right place for information. At Camp Manitoumi, our mission is to evangelize the lost, promote Christian maturity, and help our campers experience the joy of camping and nature. We believe that everyone can enjoy the camp experience, which is why we offer camp activities for all ages! We have our Beginner Camp for Grades 1-2, Junior Camp for Grades 3-7, Junior High Camp for Grades 7-9, and Senior High Camp for Grades 9-12. Summer can be a lonely time for children. These months lack the regular socializing that school provides, but summer camp is the perfect way to make sure they stay social and engaged! Our children campers have plenty of time to play and learn responsibilities in a group. Are you looking for a summer camp for the family? We offer two family summer camps, in July and September, to accommodate as many family schedules as we can! Maybe you are looking for a retreat with other like-minded people? We offer our Men’s Retreat, Ladies Retreat, and Senior Saints Retreat as well! Interested in being a summer camp counselor? Click here to learn more about our counseling and summer ministry opportunities! What Do You Need For Summer Camp Fun? After you register, make sure to pack your bags! Our camps offer both spiritual and physical activities. Our campers enjoy our pool, sports fields, paintball and more! Then, we also have Bible study, so make sure to bring your Bible! Optional items such as a camera, flashlight, water bottle, hat, stationary, or postage stamps, so you can tell your friends and family how fun summer camp is! 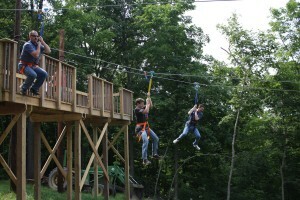 Camp Manitoumi is a fun place to learn the right way to live. A summer camp here will give you plenty of time in the sun and foster Christian maturity. Register here, or check out our Frequently Asked Questions page to learn more about us!